Dr. Romain is a board certified clinical neuropsychologist with expertise in Traumatic Brain Injury and Concussion, as well as Developmental Learning Disabilities and ADHD. He provides consultation to One Neuro. 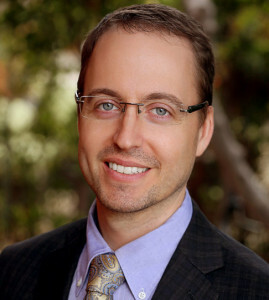 Dr. Romain also is on medical staff at CHOC Children’s Hospital and has a private practice, Romain Neuropsychology and Educational Services, in Orange County. Dr. Romain has been working with patients and families since 2001 and is a licensed psychologist in Illinois, Wisconsin, and California. He has held joint faculty appointments at the Medical College of Wisconsin in Neurology and Physical Medicine and Rehabilitation, and has been on staff at children’s hospitals in the Midwest and California. Dr. Romain completed his predoctoral internship at Franciscan Hospital for Children in Boston and two-year APA accredited fellowship in pediatric neuropsychology at Medical College of Wisconsin. Dr. Romain has published in the areas of head injury, concussion, and psychometrics. He is an active is a member of the American Academy of Clinical Neuropsychology (AACN) and in 2009 was awarded diplomate status through the American Board of Professional Psychology (ABPP). Outside of his professional roles, Dr. Romain enjoys sailing, golf, and skiing, and has an avid interest in all things hockey.